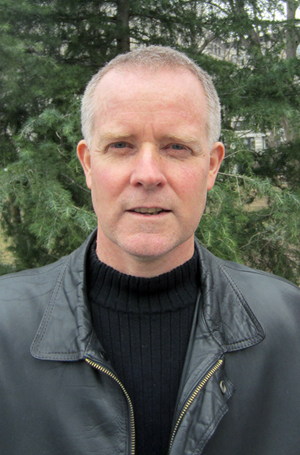 We are thrilled to welcome Sinclair Thomson as the new CLACS Director! 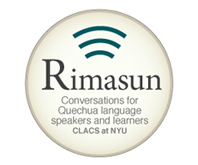 Starting this spring, Thomson will bring innovative events and research on Latin America to CLACS. A historian, Thomson’s research focuses on indigenous social movements, and how revolutionary ideas live on in Andean collective memory and myth. Thomson’s book We Alone Will Rule: Native Andean politics in the age of insurgency, looks at native Andean politics in the eighteenth century. He also co-authored Ya es otro tiempo el presente: Cuatro momentos de insurgencia indígena, Revolutionary Horizons: Past and Present in Bolivian Politics, and is currently working on The Bolivia Reader: History, Culture, Politics. Thomson says he’s looking forward to being at CLACS. 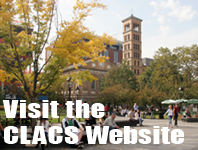 I’m excited to be involved with CLACS this semester. I am proud that CLACS has such strong programs in Andean studies and Quechua language studies, which coincide with my own interests. At the University of Wisconsin Madison I received great interdisciplinary training in Andean students, and Quechua was a big part of my education. I’m happy to support training new students in these area. Visit the CLACS website to learn more about Sinclair Thomson. This entry was posted in Featured Faculty and tagged Bolivia, CLACS, indigenous rights, Sinclair Thomson. Bookmark the permalink.